The German government continues with its goal of developing renewables in the country. 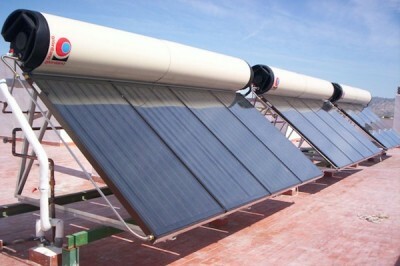 To do this, it has announced that from this month of January it will increase by 20% the subsidy for the installation of new solar thermal equipment in order to modernize heating systems. Thanks to this incentive it is expected that outdated facilities will be gradually replaced. German government subsidies for the installation of new solar thermal equipment are increasing by 20% in early 2016 to modernize heating systems. To this end, a new Solar Bonus to be offered by Industry has been approved to develop this technology. The Federal Solar Industry Association welcomes the announcement by the Federal Government thus significantly increasing the installation of solar heaters. After the recently approved “incentive program for energy efficiency,” the Federal Government increases by 20% the rates for the subsidy for the replacement of heating systems that have become obsolete. To do this, the executive director of the German Association of the Solar Industry, Carsten Körnig explains “changing to solar energy powered systems at home has never been so attractive, and will allow the ageing heating systems be renewed throughout 2016. Users can apply for ‘scrapping’ in the Federal Office of Economics. Directive on the promotion of accelerated modernization of heating systems using renewable energy was planned for release this December 30th. As a rule, the owners must apply for a grant of at least 3,600 euro to modernize the heating system with solar technology. It is a prerequisite for access to funding, plus they must commission the new system starting this January 1, 2016. Anyone requesting to change their outdated inefficient heating system by a biomass plant or replace it by a pump or upgrade it through incorporating a solar heating support for all their heating system, by improving energy efficiency, will receive an additional bonus of 20% of funding under the market incentives program. In addition, an investment subsidy of 600 additional euro is granted for the necessary measures to improve energy efficiency. There is no case of legal obligation to change in accordance with Article 10 of the Energy Saving Ordinance in Germany (EnEV). – Apply all measures to improve the energy efficiency of the entire heating system (for example, optimizing the heat curve, adjusting the flow temperature, the pump capacity and the use of each rooms control meter). The request for the additional bonus covered by this directive falls under the Ministry of Industry´s procedure on applications for granting. The appropriate forms will be available for download from mid January. Spain celebrates 30 years in the EU, how has our country´s energy sector evolved?